It twas a rye, rye, rye night! As I was traveling when our original club’s October session happened, our guest whisky writer Nikkhil again stepped up to the occasion. What made this particularly unique was our 1st ever session focused purely on Rye. As per our normal approach, the merry malters sampled completely blind before the reveal. The hostess revealed all three bottles together. She had chosen a Rye theme for her session and it was indeed a very interesting experience for all of us. It was a first for me. Turmeric and paan notes are not what one would normally associate with a whiskey yet there they were! The group was divided between the Cody Road & ​Cascadia Rye​ with me preferring the former. High West was not up to the groups liking. I had never imagined a Rye to be “finished” in sherry/port casks. The Cascadia Rye did have a distinct pinkish hue and that sulphur note. Could the sulphur be because of the port cask finish? Cask fumigation by burning sulphur candles or brimstone sticks has been used to preserve casked wine and to prevent bacterial contamination of casks stored empty. It can also creep up if batches are distilled too fast or in too warm climate​. Cask maturation can significantly mitigate the effect of sulphur after 3 years. But by law an American straight Rye can be bottled after 2 yrs in the cask. Could it be the latter than the former? The mystery continues! 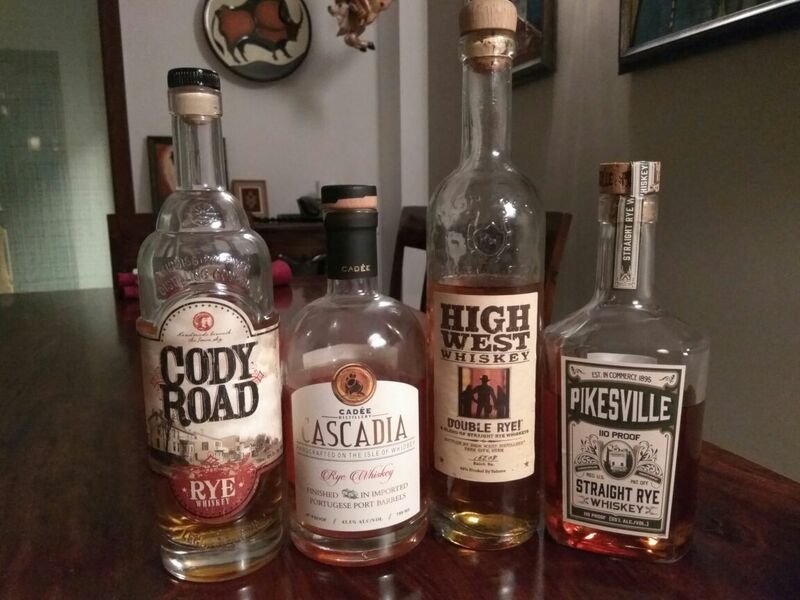 This entry was posted in American, Beyond Scotland, Uncategorized and tagged Cascadia Rye Port Barrels, Cody Road, High West Whiskey Double Rye, Rye by Carissa Hickling. Bookmark the permalink.